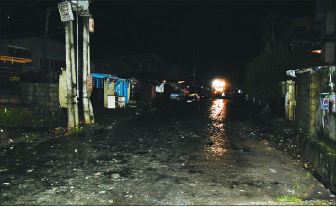 The Lagos State Government has earned the praises of residents of the state for its swift response after Akobi Crescent in Surulere was flooded and overtaken by debris following a torrential rainfall. Azuka Jebose: “Great rapid response by you guys. Governance is a two-way street. The government must meet its responsibility to the people. We the people must also meet ours the govt. Our mindset should change toward our involvement in cleaner society or environment. Government had sealed an integrated waste management services contract with Visionscape targeted at ending the perennial flooding confronting the state and ensuring a clean and livable environment. According to the contract spanning 10 years, Visionscape would be responsible for door-to-door waste collection services to households in the state.